In my article “Polyarchies, competitive oligarchies or inclusive hegemonies? A comparison of 23 global intergovernmental organizations based on Robert Dahl’s political theory”, I proposed an adaptation to the conceptual tools of conventional democratic theory by applying the concept of “polyarchy” to the study of international politics. This concept was first coined by social scientist Robert Dahl in the early 1950s to approach institutional environments from the perspective of domestic polities. It aimed to measure the different degrees of political participation and contestation admitted inside modern states, constructing a useful typology that ranges from full polyarchies (i.e., highly inclusive and competitive polities) to closed (neither inclusive nor competitive) hegemonies. The conceptual parsimony found in this author’s construct is consistent with his epistemological choice to treat democracy as a Weberian ideal-type that is unattainable in actual situations, both domestically and internationally. However, even if one believes that the concept of polyarchy is useful for the study of contemporary politics, is it still reasonable to speak of global polyarchies? How about using this concept for the study of IR and intergovernmental organizations today? I contend that the notion of polyarchy is well suited to the discipline of IR and its phenomenology. After all, given the alleged difficulty a democratic regime faces in becoming universal, one should be cautious about adopting thick conceptions of democracy for the study of international politics. By embracing a thinner and simpler definition (such as that crafted by Dahl), one can probably better capture the kind of democratic experience states and non-state actors actually enjoy in IR. The article’s effort to assess the polyarchization of intergovernmental organizations (IGOs) adopts different metrics and methodological pathways. Given the practical challenges involved in this research, I developed a scorecard to rate IGOs with regard to each dimension of polyarchy. Say that 75 per cent of the model is intergovernmental, while 25 per cent is transnational; in terms of participation and contestation – the two axes of Dahl’s concept of polyarchy – approximately 42 per cent of an IGO’s possible final score can come from its perceived ability to include states in decision-making procedures, whereas 33 per cent comes from its ability to allow for contestation and 25 per cent from its capacity to make non-state actors take part in deliberations and decision-making procedures. As for eligibility criteria, two conditions must be met for an IGO to be considered “global” in scope: (a) a three-digit membership and (b) member states from at least three different continents. By applying this analytical model to evaluate and identify the polyarchization level of 23 global intergovernmental organizations (GIGOs) in contemporary world politics, my article generated some interesting data. First, it found that organizations primarily relating to education and culture (UNESCO) and global public health (WHO) score higher on the “global polyarchy” index than all other issues. Although education and public health may be two of the most pressing issues for domestic policymakers, they do not enjoy the same status in IR. By contrast, the multilateral banks (IMF and IBRD) and international security organizations (IAEA and OPCW) have, predictably, some of the lowest scores. Nevertheless, these four cases differ substantially. 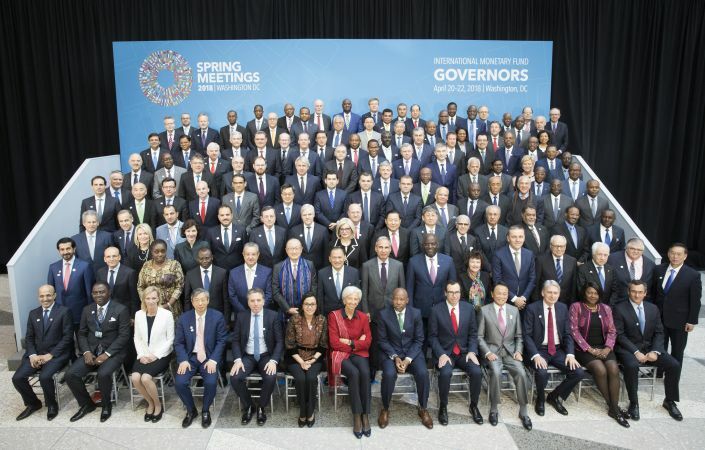 While the IMF would qualify as something between a “closed hegemony” (little participation and little contestation) and a “competitive oligarchy” (little participation and high contestation), the IBRD, OPCW and especially the IAEA fit well into the “inclusive hegemony” category (high participation and little contestation). In accordance with its institutional design, the IMF emerges in this comparison as an NGO-averse organization, whose decision-making capacity lies in the hands of the stronger economic powers. Another possible explanation for the IMF’s lower scores is the almost impervious technicality of debates relating to international finance. The same reasoning applies to the IAEA and weapons of mass destruction (WMD). This could have been decisive in relegating these organizations to the bottom of the ranking. All in all, the results appear to be fairly consistent with the “high-versus-low-politics” cleavages in IR – and reinforce their continued usefulness as a predictor of country behaviour. An alternative interpretation for the results above requires scrutinizing the relationship polyarchical GIGOs have maintained with the United States over time – as Palestine’s recent accession to UNESCO, or the OPCW Secretary-General José Bustani’s dismissal may suggest. Finally, my analysis suggests that budget may prove a relevant variable to account for behavioural differences among GIGOs. As a tentative generalization, the more an organization can resist budgetary constraints and political pressure, the likelier it is to be classified as a typical global polyarchy. Ongoing debate on the democratization of international politics is vital, and something that no political scientist can bypass. In view of the literature and despite every blowback we are subject to, I insist on the need to assess the democratization of international politics from a variety of analytical perspectives. This allows an understanding of how sovereign states and other important non-state actors formulate and reformulate international institutions to be more plural and open – and, in a very particular sense, more democratic – as well as how global governance is managed under conditions of structural anarchy. This post stems from the article entitled "Polyarchies, competitive oligarchies or inclusive hegemonies? A comparison of 23 global intergovernmental organizations based on Robert Dahl’s political theory" published in the Cambridge Review of International Affairs (2016, Volume 29, Issue 4). The article recently received the 2018 Olavo Brasil de Lima Jr. Prize, awarded by the Brasilian National Association of Political Science for the second-best article on political science between 2016 and 2018. Dawisson Belém Lopes is Professor of International and Comparative Politics at the Federal University of Minas Gerais (UFMG) and a researcher at the National Council for Technological and Scientific Development (CNPq) in Brazil. He is the currently Deputy Dean for International affairs at UFMG.